There are a few things to be aware of when inspecting your Y-Block for overhaul or buying used parts. Although 312's are most noted for cracks in the main webs, all cast iron blocks can be cracked. Look for the change from dark to light metal near bolt hole. 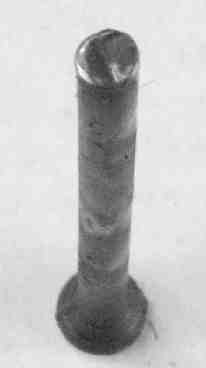 Magnetic particles show crack around bolt and bearing surface. On 312's check #2 and #4 main closely. 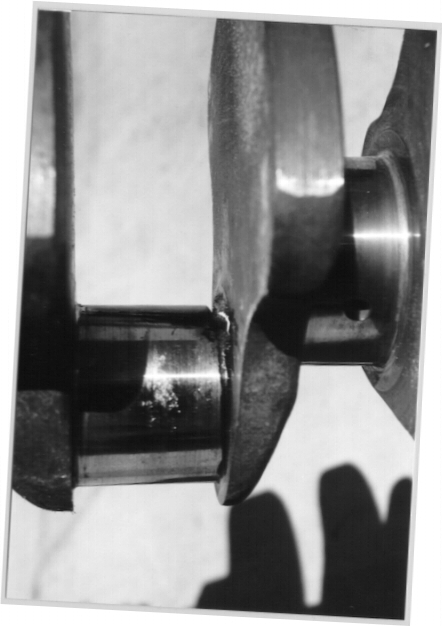 Crankshafts crack at the radius of the rod journals. This C1TE steel crank was ground away to see how deep the crack was for possible repair. It could not be saved. 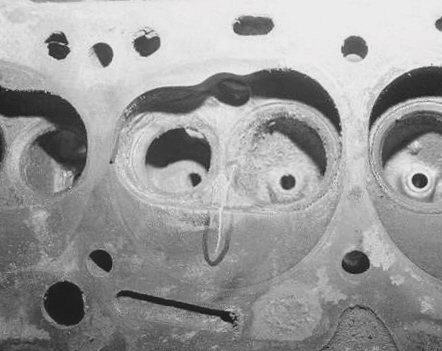 HEADS: The most common location of cracks in 1957 to 1964 cylinder heads is near the center 2 exhaust valves, especially the one with the heat crossover passage for the intake manifold. Exhaust port with transfer port to intake manifold cracks first. 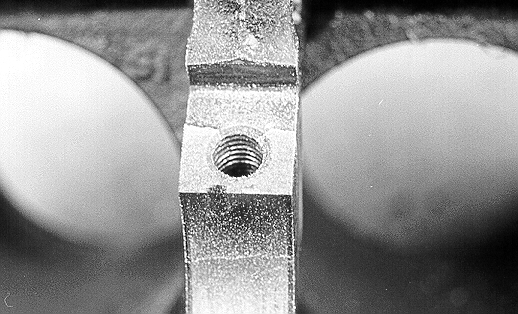 1956 heads crack in the rocker area between the center exhaust valves. Stock pushrods bend easily and can break.